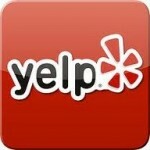 YELP Inc.’s IPO was Friday and I’m not shocked to see it take a opening day jump, but where is heading now? I wanted to first point out that the IPO was at $15 a share and the shock finished the day up “+9.58 (63.87%)” for the first day, but this is hardly true to the average investor. The stock NEVER was available to the public for anything below $22 during the entire existence of this stock. The stock had a range of $22.00 to $26.00 on it’s first day of trading, but I would argue that the stock is hard to see a bargain value even $22 a share. At it’s current price, the company’s market cap. is $1.47 billion. YELP’s last four quarters the company has reported operating incomes of –$8.76m, –$3.39m, –$1.22m, and –$2.80m. The revenues for these quarters were 24.91m, 22.30m, 19.58m, 16.50m, and 15.27m. In other words, revenues are growing, but actual operating income is declining. The stock market has memories of stocks like Amazon, which traded very low and later became juggernauts, but YELP is no Amazon. YELP is held back by the simple fact that it is limited to advertising revenue, where as an Amazon actually sells items. YELP is not a new concept or a new startup, it’s a company that has existed since 2004. I fail to see how this 8 year old company has the potential to generate the implied income the market is portraying through it’s market cap of this stock. Even if they were to turn a profit of say $5 million a year, that would put the P/E at 294! If you are looking at YELP with interest, then I would have to believe Pandora would also incite you as an investor. Pandora (Symbol: P) is also virtually relying on advertising dollars, but had revenues of $75.01 million and produced operating income of $.76m last quarter. But let’s be frank, both of stocks are gambling. Neither of these two stocks have produced the numbers or even growth to justify where they are market cap wise. I understand that these stocks could be breakouts similar to Amazon, but from a fundamental standpoint, these are weak investments. Interestingly enough, Pandora has a higher market capitalization, but a lower Alexa Ranking. Alexa ranking is a websites overall global ranking based on traffic. Yelp is currently #192 and Pandora is currently #358. Interesting that Pandora has considerably lower ranking, but has a market capitalization 52% higher. I personally use both Yelp and Pandora, and I have noticed aggressive ad placement (especially on Pandora), but I worry about these companies long-term strength. I also have noticed my Pandora usage drastically decreasing due to annoying ads. As for Yelp, I stopped using it as much mainly because it’s as not heavily used in the Cincinnati area. When I first moved to Cincinnati, the Quizno’s was the top rated restaurant, no joke. I don’t know whether people were trolling or not, but that Quizno’s ironically went out of business. It has drastically improved since that time. I think what this all boils down to is people in these companies cashing out. Do these stocks have the potential to generate billions? Sure, but have they produced any real income… No. Will these stocks go up? Probably, but I ultimately see them lower than they currently are. Whether that takes 5 months or 5 years, I don’t see either of these being a $100 stock, ever. I personally would rather take a straddle of Sprint Nextel Stock, but hey.. that’s me. Disclaimer: Nothing in this article should be used for any decision making of any kind. Consult a professional for investment planning.